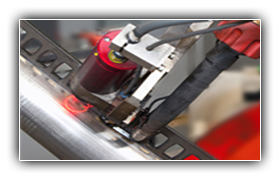 " Robotic welding systems should work for you. Be reliable, dependable and look nice doing just that. " " Why does product distortion and product tolerances always end up in frustration? " " All our laser sensors offer usability, flexibility, integration and freedom. All designed for your convenience. " " Automatic recreating and redefining welding processes on-the-fly. " 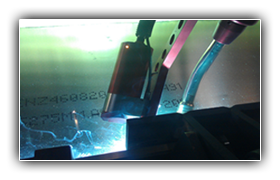 " A high quality welding guidance system combining with high flexibility. " Welcome to the future of automated and robotic arc-welding. 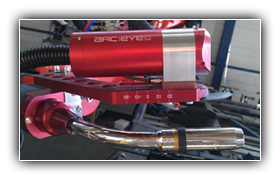 Our patented special optical design makes the ARC|EYE sensors a unique type of laser sensors on the market. This gives the ARC|EYE sensors some main advantages over the normal applied laser sensor types. Two of these main advantages are the capability of creating a full 3D image within one single scan and a extremely high signal-to-noise ratio which excludes the need of a high powered laser diode and thus keeping the ARC|EYE sensor on the safe side of all laser products classes. 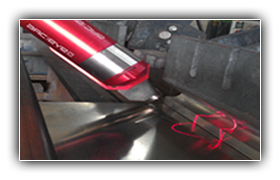 Direct integration into the ValkWelding SafetyHolder ensures a perfect Tool-Center-Point relation. Each 3D shaped corner can be located by our ARC|EYE sensor with one single scan. High reflective surfaces, like aluminium, are no match for ARC|EYE sensors. 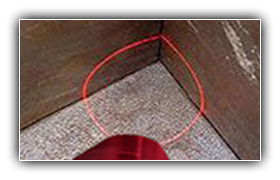 The ARC|EYE sensor can track any detectable shape, even on highly reflective surfaces. In case something really special needs to be done, our ARC|EYE sensor software offers high flexibility and intelligent integration tools.